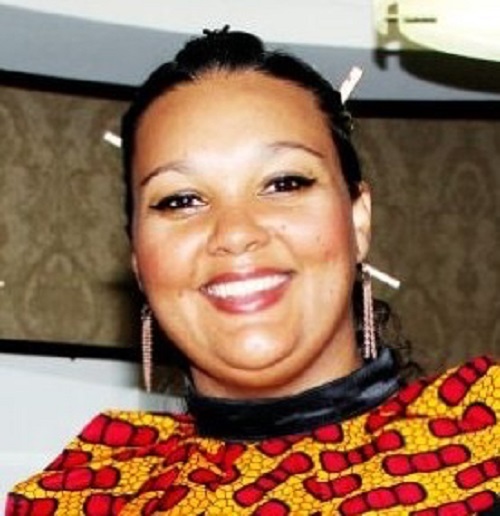 Flow Wellington, (Selome Payne) is the director of self-publishing institute, Poetree Publications. She is also a published poet. Her latest poet anthology, Gau-trained tells the story of Johannesburg from the perspective of a person who has moved to the city from elsewhere. The Daily Vox team spoke to Wellington about her work. So, how did you get into self-publishing? Well initially it was by chance because I tried for a long time to publish through a main publishing house but kept getting rejection and rejection. Then I moved to Johannesburg and my decision to self-publish my first book (came together with) the idea to assist other people as well and thatâ€™s how Poetree Publications was formed. I recognised that if Iâ€™m struggling to get my work published in the industry then there was be other writers who are also struggling and thatâ€™s how Poetree Publications came about. (It was) recognising the need that there must be more accessible avenues for publishing. Is the self-publishing business challenging? Well you know convincing clients to sell a book for a publishing contract is always a challenge. I mean with self-publishing there are fees involved, and itâ€™s sometimes very costly especially with the amount of books youâ€™re required to print. 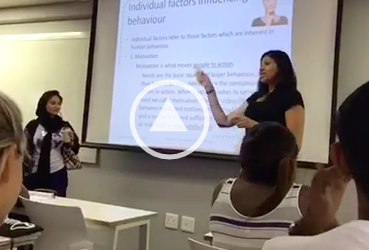 Also editing is also quite a costly aspect to take into consideration but you know personal challenges is marketing and distribution avenues which are relatively closed in SA to big publishing houses and main stream bookships. If you are in the circle then itâ€™s easy to get but you know for someone who is young on the scene itâ€™s not that easy to get your books into stores and also itâ€™s hard work. Itâ€™s a lot of work to put a publication together. It takes time and people donâ€™t always understand the time that needs to be put in and invested into a publication. But there must be rewards, what are those? Firstly, as cliche as it may sound you know I get to contribute to the African literature landscape as a publisher and a black writer. I get to help other black writers put their work on the map and eventually form part of their legacy. And you know just to see people make profit from their creative writing. Self-publishing allows you to make money as much as invest a lot of money to produce a product, all the profits do go to you eventually and if you really have a strong team behind you it can really be worthwhile to do it. Tell me about the work youâ€™ve published. Personally, Iâ€™ve done two poetry collections. The most recent one also includes a few short stories. I also do childrenâ€™s writings. Other books Iâ€™ve published poetry and fiction. Iâ€™ve also published for a lady in California who did a childrenâ€™s book. Basically the company publishes all except religious and academic book. What was the inspiration for Gau-Trained? Well the book started off as a sort of autobiography to document my experiences since moving to Johannesburg from P.E. 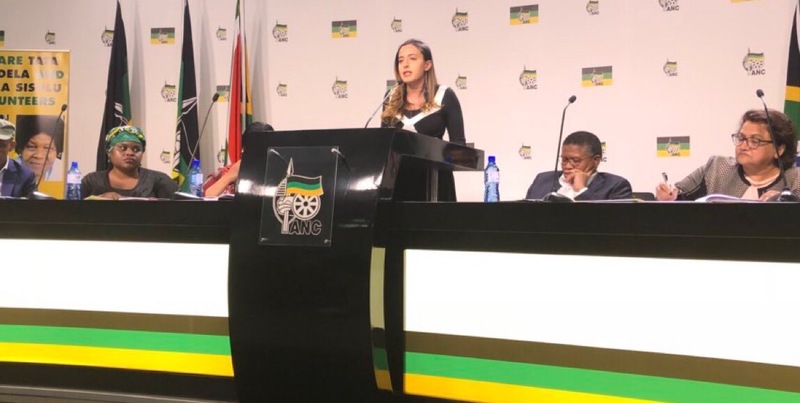 But eventually as I went through the process, it took the form of sort of a guide specifically for women but anyone in general who takes the decision to move to a big city Joburg in particular without having any sort of support structure or plan. And then you have to go there and make life happen for yourself and that was the inspiration about it. It took about 6 to 4 years to compile between 2011 and now. But most of it was written in retrospect you know looking back at all the experiences, the things that Iâ€™ve seen, the people that Iâ€™ve met, the places Iâ€™ve lived in Joburg and how Gauteng essentially trained me to become the person that I am now. I think my favourite was Derailed and Crossroads. Itâ€™s two of the more sombre chapters but it told a lot of the story. It holds the bulk of the body of the work and I consider it my favourite because itâ€™s the most raw and most suitable view of Johannesburg and I wouldnâ€™t say thereâ€™s a least favourite but I think getting started, actually putting it together, compiling it because a lot of it was therapy for me all the trauma that I had gone through in Johannesburg, being in an abusive relationship experiencing some sense of poverty all that so writing about that and especially in the first chapter Platform where I write about arriving in Johannesburg, losing family, losing love. It was challenging to begin with. Youâ€™re currently on a book tour. Where are you going? We started in Johannesburg. Iâ€™m in Bloemfontein today. Then we move to Polokwane, Pretoria and then PE. And then later in the year weâ€™ll do Kimberly and Durban. Itâ€™s very informal and very intimate so weâ€™re not looking at your big auditorium style events. The cosier the space, the better. This story of the book is such a heartfelt one that Iâ€™m trying to create moments where people can be honest and can be open to say ja Iâ€™ve also been through that where we can speak and communicate with each other and have conversations about moving to a big city and what it takes to leave family behind and what it takes for women to experience what they experience in the city. So Iâ€™m specifically choosing spaces that are not necessarily your conventional spaces. I want it to be the everyday person type of book because itâ€™s everyday people who take those decisions you know young people especially from rural areas whose families have the expectations that going to Joburg, going to the big city will be bring success and wealth. More details on Wellingtonâ€™s book tour can be found here. What are your experiences being a poet in South Africa? Itâ€™s varied over the years. Iâ€™ve been in the industry for 22 years and it differs by age I think. When you start out, itâ€™s exciting you want to be on all stages, you want to perform on all stages, so you know the momentum is there and your delivery is different now that Iâ€™m older and in different spaces, my experiences are quite different to back then. Because now my narrative is different, my target audience has also changed. In South Africa, weâ€™ve got such a diverse audience across every city so where youâ€™d be well-received in one space, it might not someone elseâ€™s taste in another space. But the industry has really grown. Weâ€™re finding different avenues and means of producing poetry as a mainstream of entertainment so itâ€™s really growing which is nice to see. 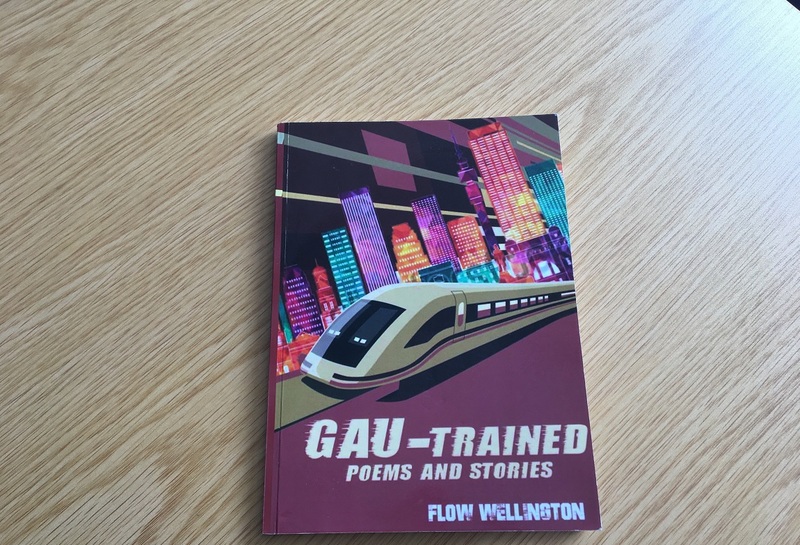 If you would like to buy a copy of Gau-trained, you can find it at Bridge Books, African Flavour Books or the Poetree Publications website.